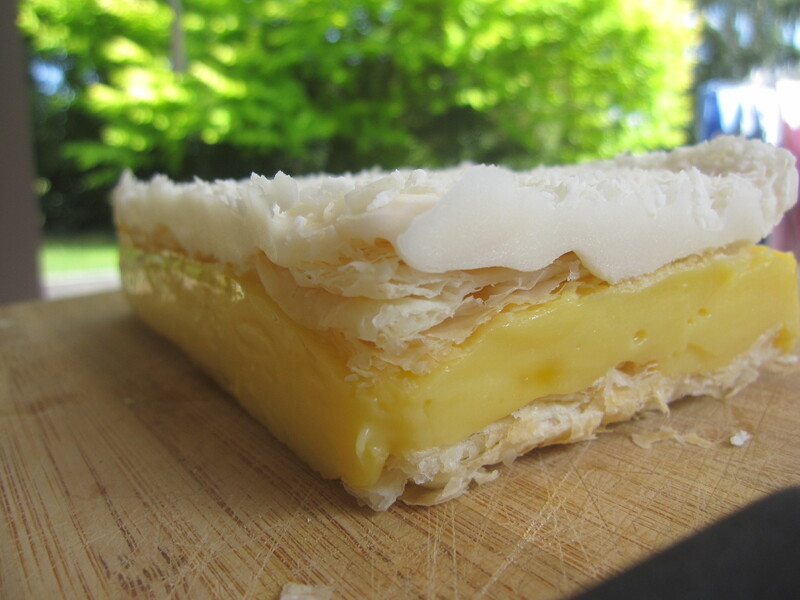 Sometimes things just dont go the way you want them too, for example, this lovely custard slice. . .
– or should I say, custard squish. And, some weeks come tougher than others. Well, it’s been one of those weeks for me. Firstly, some good news. Last night I entered myself in the running to be on a baking competition on tv! Yay! Hopefully something will come out of that. Anyway, one of the requirements was to post a few photo’s of your baking, and all my baking photo’s (along with ALL my photo’s, and my mum’s) are on the same SD card, so I grabbed that camera to upload some of my best photo’s. Only to find the camera was being a bit pesky and not wanting to connect – and to think I was upset at this stage. So I persisted, desperatly attempting to get my camera to upload the pictures I was going to use to submit along with my entry. After around a 20 minute tantrum with the camera, I ended up formating my whole memory card (deleted everything, holiday photo’s, baking, dancing competitions, Christmas, school work and photo’s of our animals). Needless to say I’ve had a pretty sleepless night. Which is why this slice, although a failure, made me smile. It looked alright to start with but the custard clearly wasn’t hard enough to cut – which is why I ended up with custard squish rather than slice. Just seeing all that gooey custard smoosh onto the plate pretty much summed up exactly the way I felt. Plus, I thought it would be a great opportunity to share with everyone, that no, not every bake I make turns out picture perfect. It still tasted rather nice – but learn from my mistakes and deffinatly cook the custard longer (wait untill it’s quite thick, almost to a ball stage). However I will push on. I’m busy searching the net for any form of recovery. Wish me luck! 1 Preheat oven to 200°C. Grease 2 baking trays. Place a pastry sheet onto each greased baking tray. Prick pastry all over with a fork. Bake for 12-15 minutes or until golden and crisp. Transfer pastry sheets to wire racks to cool. square cake pan with baking paper. Trim one sheet of pastry and place into the base of pan, flat side down. 3 Combine sugar and custard powder in a large saucepan. Slowly add milk, whisking constantly, until combined. Place pan over a medium heat and stir with a whisk until mixture comes to the boil and thickens (remember, really thick! )- Continue stirring until thick. 4 Remove saucepan from heat. Add butter, vanilla essence and egg yolks. Stir until well combined. 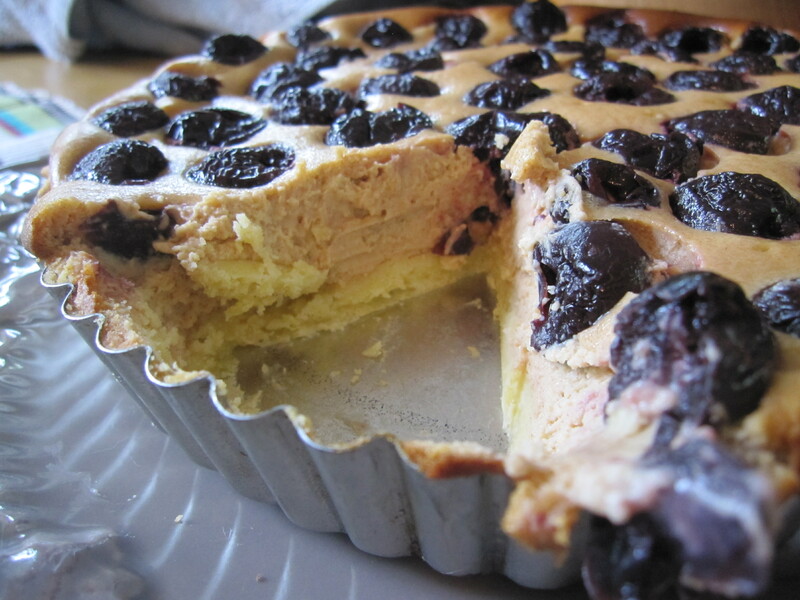 Pour custard over pastry and spread evenly. Trim remaining sheet of pastry and place over custard, flat side up. Cool. Cover and refrigerate. 5 Sift icing sugar into a bowl. Add hot water and stir until a smooth icing forms. Add more water if too thick until desired consistency. Colour with red food colouring. Spread over top of pastry. Sprinkle with almonds. Refrigerate until set. Remove from pan. Cut into 16 squares. Dust with icing sugar and serve. Sometimes you just have a whole heap of ingredients that are useless by themselves, yet when put together magically come to life to create something amazing. I think the best thing’s about lolly cake slice is how pretty it is, and the fact that it takes – at the most – 10 minutes to make, not to mention it’s delicious melt in your mouth sweetness. We’re talking all around win situation here. I’m hesitant to even call this a recipe. There is literally nothing to it, with perfect results every time (I take no responsibility for this not working for you). Basically throw everything in the pot and you’re cooking – not literally though. Sitting down to this slice today made me feel like a real kid again – okay so I’m not really that far off it, but still. I think it’s the colours that make give it that pretty, tea party feel. It’s something I’ve never made before, I dont know why because it was fantastic. I’ve enjoyed it since I was little, and now that I have this under my belt – I will be enjoying it for many years to come. Melt the butter, and mix in the condensed milk. If they’re not mixing easily, zap them in the microwave for 15 seconds or so (you shouldn’t need to at this time of year). Stir in the vanilla, crushed biscuits and lollies and mix it all up together. Line a slice tin with baking paper and press the mixture firmly into the tin. 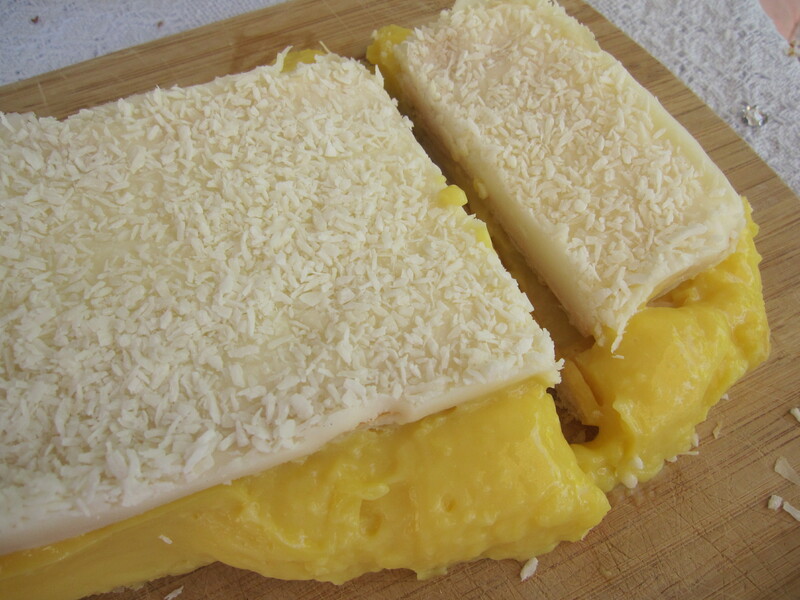 Top with shredded coconut, then leave to chill untill set (overnight is perfect). When set, cut into small bars. 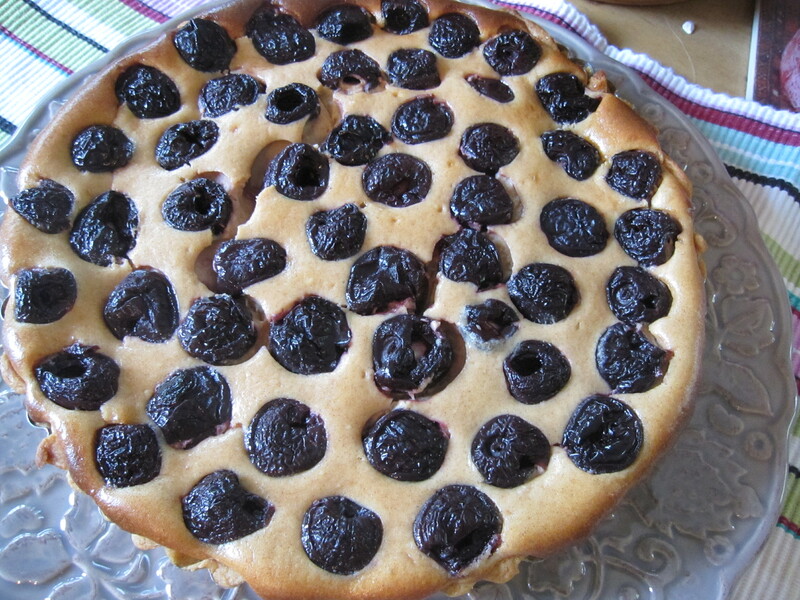 There’s certain foods that are out of a home bakers league, and best left to the professionals – for everyone’s sake. 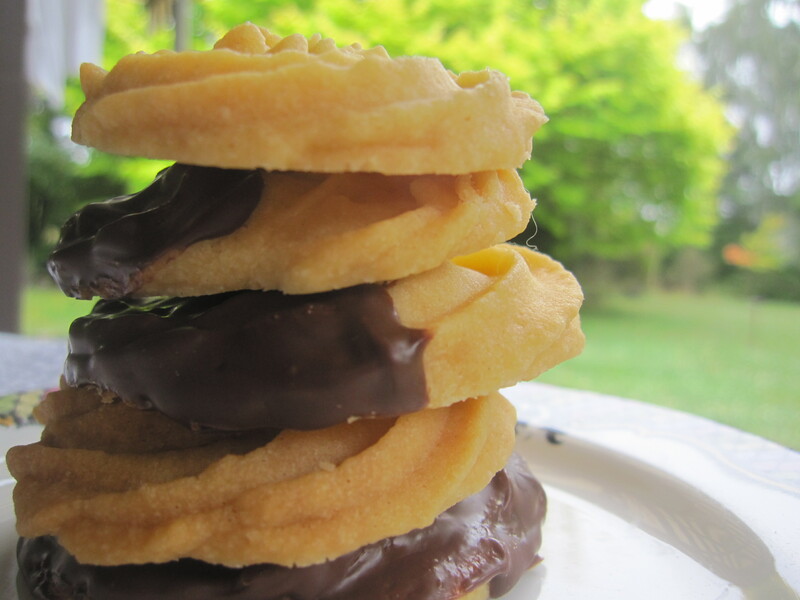 However, there are foods which are the exact opposite – where a store bought version could never out-do a homemade one. It looks better, tastes better – and although baking isn’t necessarily ‘healthy’, it is probably better for you too. After my success last weekend, I believe coconut ice belongs in this catagory. 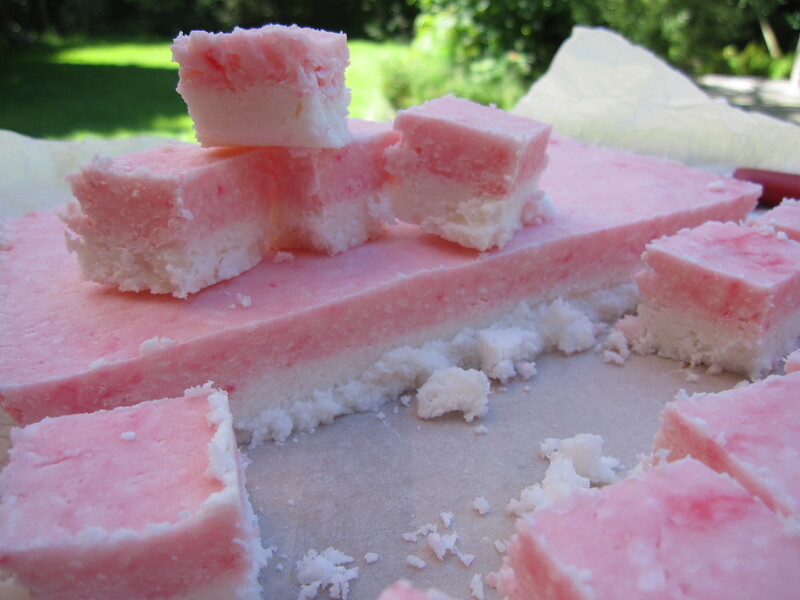 Coconut ice is one of my favourite candy treats. 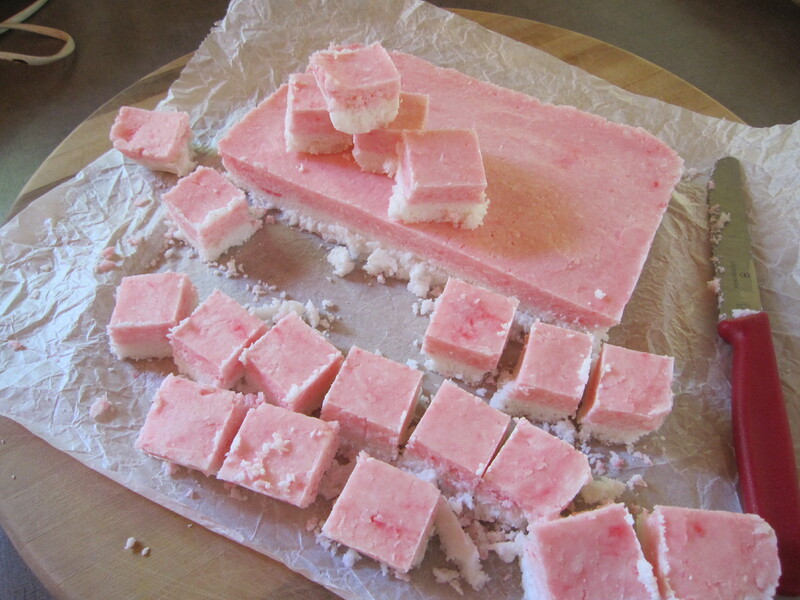 Sweet, coconutty, crumbly and gritty – yet a chewy mouthful all at once. Not to mention how pretty it looks. It’s something I have personally bought on numerous occasions, each packet of sugary goodness judged on how it meets my standards – usually there’s something not quite right about it, but it satisfy’s the craving so it passes judgement and onto my waistline . But now, I no longer have this problem. This coconut ice is simply the best. 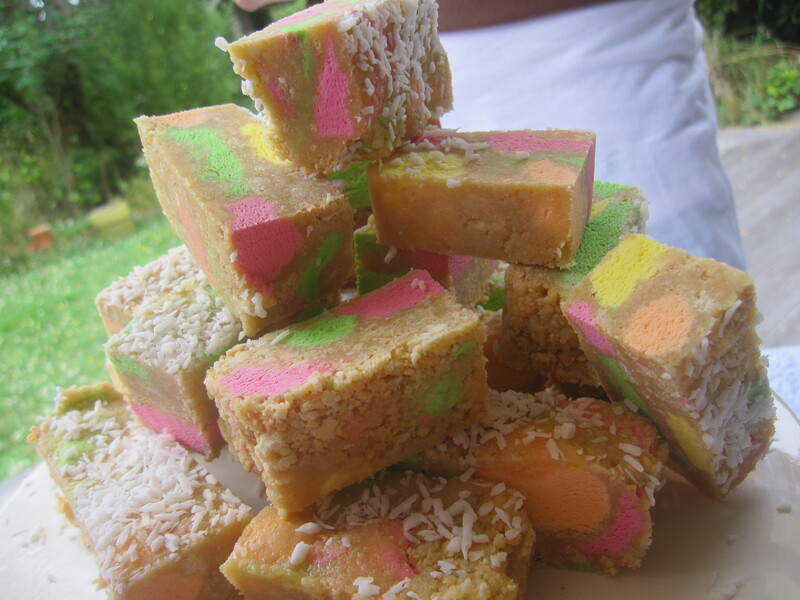 Melt in your mouth divinity – creamy coconut danced on my tastebuds – really. Plus, it looked amazing too. I stumbled upon it by accident – it was made as a fundraiser for my dance school’s Christmas show and I just needed something fast and simple. Because of that I really didn’t get to indulge in a whole heap of it – but then again you can’t produce something without taste testing it. Probably a good thing anyway, the whole slab wouldnt have lasted very long after the first bite. Looking back over my posts, I’m aware I have quite a routine going to saying my recipes are along the lines of ‘the best I’ve ever tasted. I would pull myself up on this – but I can’t deny the truth. Homemade really is simply unbeatable. 250grams icing-sugar, 60grams copha, 125grams desiccated coconut, 1 egg white, 1-2 drops of vanilla extract, few drops of red/pink food colouring. Lightly grease an 8 inch square tin. Put the copha in a small saucepan and melt over a low heat. In a large bowl, lightly beat egg white. Add coconut, copha, icing0sugar and vanilla. Mix untill well combined. Split the mixture into two equal parts and press one half into your pan. Stir and mix food colouring into the other half (hands work well) untill it turns pink. Press pink mixture on top of the plain. Cover in cling film and pop in the fridge for 45minutes untill set. When set, turn onto a chopping board and cut. It’s always heartbreaking and frustrating when I recipe dosent turn out just the way you wanted. And although I must admit these melting moments do look scrumptious – they’re not what I wanted. You see, this recipe is not a first for me. It’s one of the few recipes which I attained from an acctual cookbook. I frequently return to it because it turns out somewhat right everytime, and always tastes good. Last Weekend, I had a sudden urge for a delicious, gob-stopping, buttery biscuit crammed with icing – I immediatly turned to these cookies. 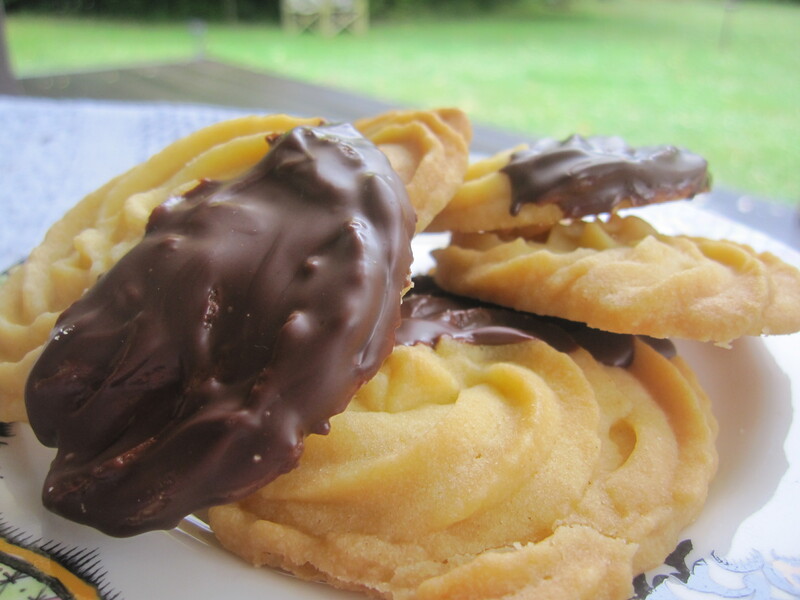 I halved the recipe, and produced five – perfect – lovely plump creamy biscuits, the combination of custard powder and flower caked my mouth as I munched. Enough to satisfy my craving after I devoured three of them. There was still something missing though. The lemon icing simply wasn’t enough, so I decided to make the cookies again, this time adding lemon zest to both the biscuit dough and the icing. This produced a lovely lemony treat – but my cookies were not what I had in mind. My mum looked at me like I was mad as I stood infront of the oven telling the cookies how much of a fail they were – rightly so I suppose, because they looked alright, and they tasted fine too. 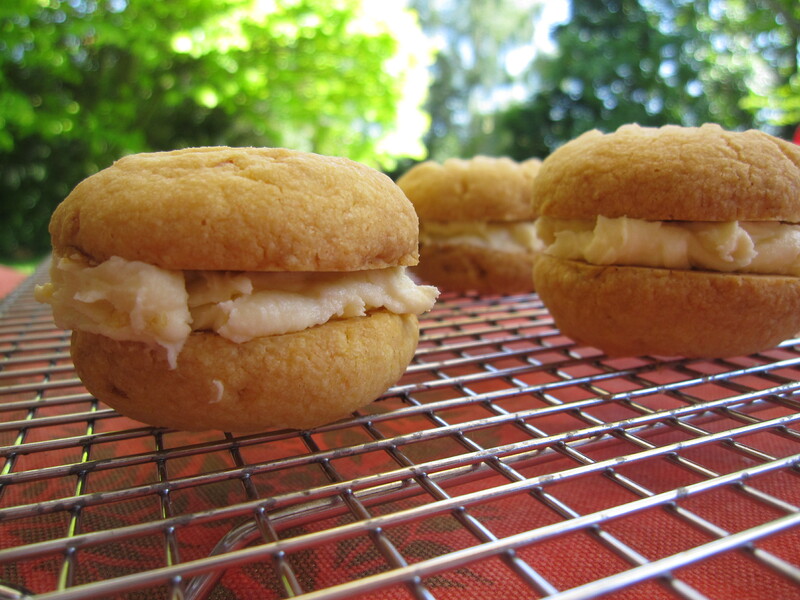 But they werent the replica of what I had made the previous week, and my craving for those lovely plump melting moments went un-satisfied, dispite still eating two of them. You – like my mum – are probably struggling to see what I mean, but if you had experienced the cookies, you would understand. I think maybe the cookies were slightly too buttery this week, which caused a flatter, more buttery cookie -or maybe it was a result of the lemon zest. I don’t really know, but they werent what I wanted. However, I will not abandon the recipe. Sooner or later the inkling for a melting moment will return, and I shall keep you posted on the results. 190g softened butter, 1/3 cup sugar, 1 cup plain flour, 1 cup custard powder, pinch of salt, 1/2 teaspoon vanilla extract (and I added about 2 tablespoons of lemon zest). Preheat oven to 180 degrees (celcius). Lightly grease a baking tray. Cream butter and icing sugar untill light and fluffy. In another bowl, sift flour, custard powder and salt. Add to creamed mixture with vanilla to form a soft dough. Bake for 15-20minutes, untill lightly golden. 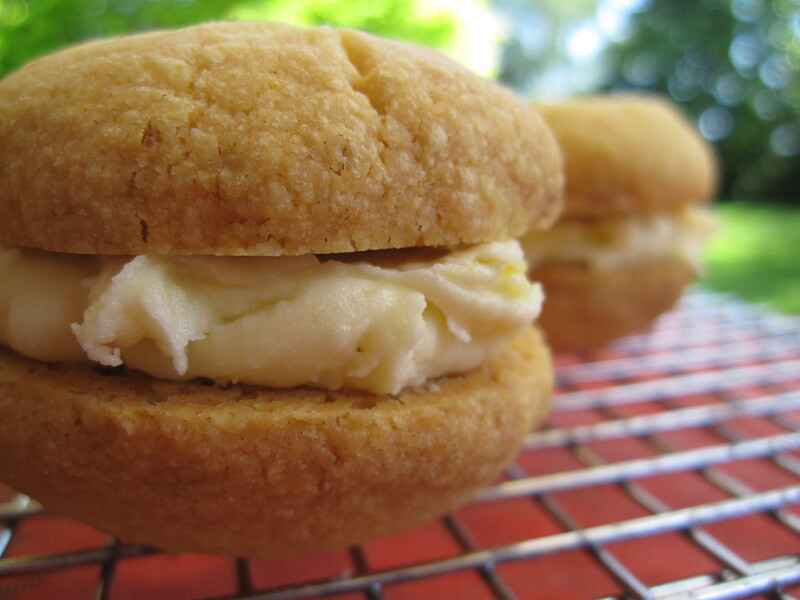 Once cold sandwich biscuits together with lemon flavoured butter icing. 125g softened butter, 2 cups icing sugar, 1 -2 tablespoons warm lemon juice, 2 teaspoons lemon zest (optional). Cream the butter in a bowl. Gradually add the icing sugar, alternating with the lemon juice, untill soft and creamy. Beat in the lemon zest if using.